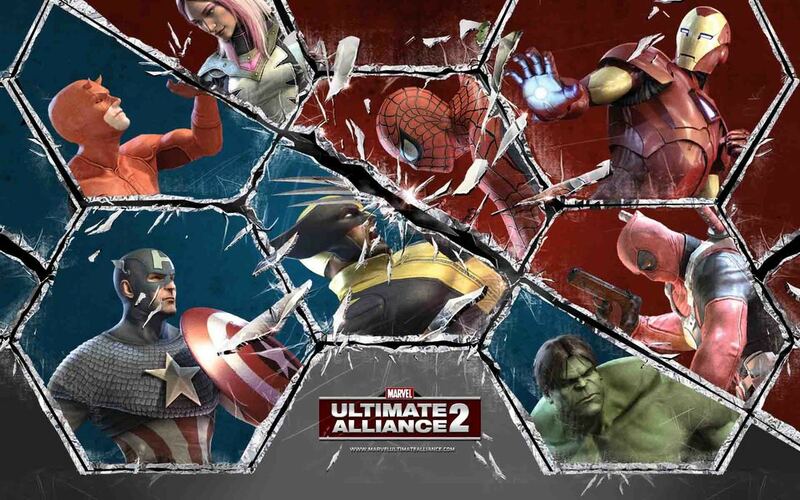 Marvel Ultimate Alliance Bundle comes with the two games in the Ultimate Alliance series. The games are top down action adventures with RPG elements. They are in the same style as the X-Men Legend series which makes sense since Ultimate Alliance is technically the sequel to the X-Men series. You can play in single player or up to four player multiplayer. The bundle pack is sadly the story of two games, one good and one not so good. Marvel Ultimate Alliance starts off with Dr. Doom brazenly attacking the S.H.I.E.L.D. Helicarrier without provocation. Nick Fury sends out a call for help from any meta-humans and you get your starting team of Spider-Man, Captain America, Wolverine and Thor. This early team is a perfect example of the powers that you get to use. Web sling with Spider-Man, the melee power of Captain America and Wolverine plus the super strength of Thor. All of the powers in all of their different forms are great in this game. There are little bonuses for picking the right team and team up extra experience points when two super heroes hit a bad guy at the same time. The story is deep and just as much to watch as it unfolds as the game is to play. We had no real problems with the game mechanics and loved the game from the start. Marvel Ultimate Alliance 2 has super heroes Ironman, Spider-Man, Captain American and Wolverine breaking into a Latveria castle on a mission from Shield. Nick Fury believes the newly elected Prime Minister Lucia von Bardas is supplying super villains with weapons and upgrades to their powers. The story in Alliance 2 is a direct sequel to the first game but overall the story is not as good…truthfully the game is not as good either. Super hero games are all about the powers and the powers in Alliance 2 fall short. There are team stats boosters if for example you have four members of the X-Men on your team but the story is based around the Marvel Civil War universe so there are not that many team power ups. There is also team attacks. You and another member of your team start to attack together but most of the time you are fighting the controls trying to direct your attack. Also, we really don’t like fighting heroes with other heroes. It did not matter what side you pick Captain America or Ironman it not a good feeling beating them up. Even though you have a choice of who you side with the story is not that much different and you play many of the same areas in both storylines. So a game that could have 12 hours of gameplay is really only 7 hours long. There are conversation choices in the dialog too but it does not really matter what decision you make, you end up in the same place. Marvel Ultimate Alliance is easily much better. Marvel Ultimate Alliance Bundle honestly is about 20 hours long for both games. The replay is high on the first Alliance game but the second is a play it once and never play it again type of game. 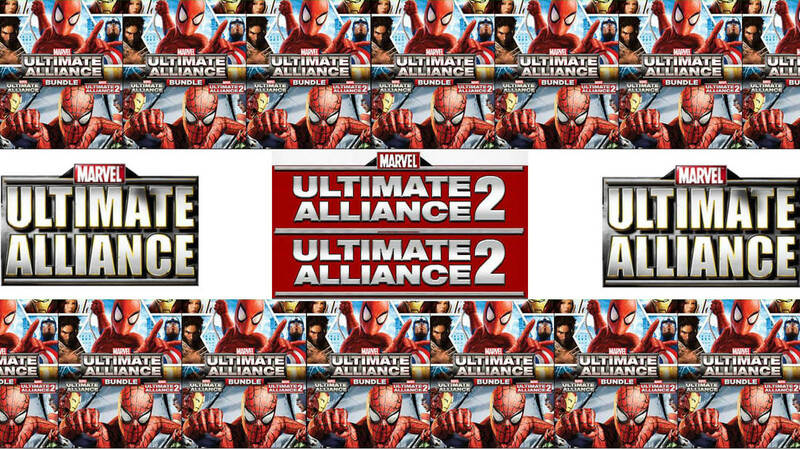 We would recommend just buying Marvel Ultimate Alliance but if you need all things Marvel Super Heroes in the video game world then Marvel Ultimate Alliance Bundle is worth paying $25.00 of under for but if you find it $15.00 or under then it is a Must Buy Price.